I once had a student who had a problem. He wanted one of those paper wrapped pencils with cool colorful designs on them, so he chose to solve his problem by taking another student’s cool paper-wrapped pencil. She wasn’t happy. She immediately reported the incident to the authorities: me. I made him give it back, but the insult proved too much. He sat down on the floor, wept, cried out, threw boxes, and banged on shelves for about 20 minutes. This is the incident that popped into my mind when I first read What Do You Do With A Problem? 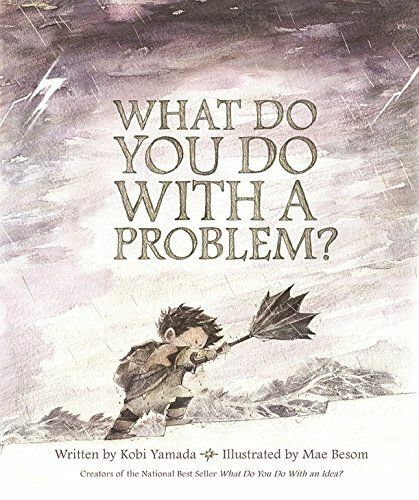 (ISBN 1943200009), a picture book written by Kobi Yamada and illustrated by Mae Besom. In the story, a disturbingly dark and impenetrable problem appears in a little boy’s life like a storm cloud in a blue sky. He doesn’t know where it came from, doesn’t want it, and doesn’t know what to do with it. The boy resists his problem, he agonizes over it, and fears the worst until one day he chooses to face it head on. What happens when he faces his problem is the reason I think this book is great for kids, especially ones like my tantrum-throwing pencil bandit. 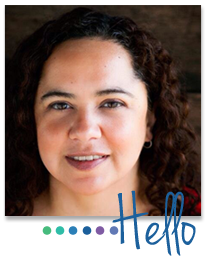 Dealing with problems is hard for children and adults alike. It involves overcoming obstacles like fear and perceived helplessness. What Do You Do With A Problem? brings to life the feeling of empowerment and freedom that comes with pushing through those obstacles and coming out on the other side. My favorite part of the the artwork are the pages that show the boy finally tackling the problem. It looks like he is diving into a maelstrom and then the scene starts to change as he begins to see his problem in a different light. The world changes from dark and foreboding to bright and hopeful. This is definitely a character lesson that I will be sharing with my students this year.